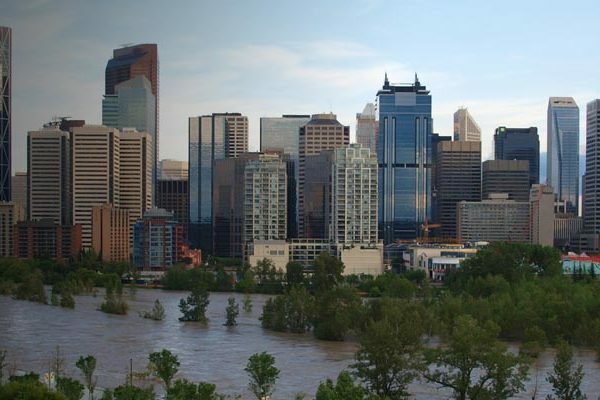 The impacts of climate change on flood and drought are highly complex, yet important to understand so decision makers and policy makers across Canadian jurisdictions can better plan and prepare for these changes. This research reviewed leading approaches from around the world to identify lessons and facilitate development of guidance for Canada. Flood and drought represent the most numerous and costly natural hazards in Canada. Examinations of historic records and future projections reveal that Canada has experienced changes in the magnitude, frequency, timing, and duration of floods and drought in the past century and that changes are expected to continue due to the impacts of climate change. As such, scientists, managers, and policy makers generally recognize that the assumption of stationarity no longer remains – past hydrologic conditions cannot be used on their own to represent and plan for the future. Understanding the impacts of climate change on flood and drought is important to address so that decision makers and policy makers across Canadian jurisdictions can better plan and prepare for these changes. The CCME Water Management Committee recognizes that existing approaches to assessment, planning, decision making, and communication are seen as insufficient to deal with the related complexities and uncertainties. Hence, there is an interest and need for an overview of existing research and guidance materials developed for other jurisdictions to provide a starting point for developing guidance that is appropriate for Canada. The resulting report focused on four areas of research to help address this need. First, the report provides a summary of existing guidance from jurisdictions around the globe with an interest in assessing and planning for changes in frequency and severity of flood and drought in the context of climate change. Next, the report provides a summary of key threads of discussion in the primary literature and from practitioner guidance around climate and science communication to improve communication of complex and uncertain information. Third, the report reviews decision-making strategies to deal with climate change and its pervasive and unavoidable unknowns. Lastly, the report identifies illustrative case studies from Canada and elsewhere that could be explored in more detail as leading examples of how to improve Canada’s approaches. Ultimately this research served as an important foundation of information so Canada’s leaders in water resource management could be best informed and develop guidance specifically tailored for Canada.